Did you know that an Irish Catholic Priest Rev. Thomas O’Reilly threatened General Sherman with a mutiny by the Irish Catholics in his army if he torched the church district of Atlanta at the start of his infamous march to the sea and that General Sherman backed down and the entire church district was saved, including the City Hall which stood therein? However, Rev. Peter Whelan was just as courageous in another way. Rev. Whelan distinguished himself as a chaplain for the Montgomery Guards, an Irish company established in Savannah for the First Georgia Volunteer Regiment named for America’s first hero: Irish-born Revolutionary General Richard Montgomery. Previously he had been the administrator of the diocese of Savannah where the majority of his parishioners were poor Irish immigrants. In 1862, his unit was bombarded into surrender by Union forces and though he was offered freedom, Rev. Whelan chose to remain with as chaplain to the prisoners. They were transported to Governor’s Island, NY where meager rations, few latrines and inadequate heating and ventilation soon had the prisoner suffering from pneumonia and typhus. Food and clean clothing were needed so Rev. Whelan wrote to Rev. William Quinn of St. Peter’s Church on Barclay Street, NY. Rev. Quinn, fearing that the damp, cold prison would seriously harm the 60-year-old Rev. Whelan’s health, secured a parole for him. However, except for an occasional trip to the city to procure necessities for the men, Whelan remained at the prison, saying Mass each morning, visiting the sick, giving encouragement and spiritual guidance to those in need. On June 20, 1862, a prisoner exchange was arranged and the men were sent to Richmond. Rev. Whelan arrived with the sick on August 8 and was unconditionally released. Upon his return to Savannah, he resumed his post as Vicar General. In May 1864, a missionary priest stopped in to Andersonville prison where Union prisoners were held to see how many Catholics were there. What he saw staggered him and he asked that a priest be provided immediately. The Bishop of Georgia asked Rev. Whelan to go and the 62-year-old priest agreed. He arrived at Andersonville in June – the hottest time of the year and the period of the highest mortality. The camp was like nothing he had ever seen. The stockade sloped down on both sides to a small stream about a yard wide and foot deep. With no arrangement for sewage disposal, this creek provided water for drinking, cooking, and bathing! Into the creek was also thrown the waste of two nearby Confederate camps as well as the grease and garbage from the cookhouse. The slow-flowing stream soon became a mass of thick pollution. 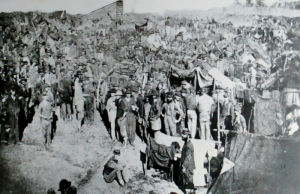 In the center of the camp was a swamp, part of which had been used by the prisoners as a toilet and excrement covered the ground; the smell was suffocating! Some of the very sick who were unable to extricate themselves from the muck along the creek had to relieve themselves there making the creek a further source of disease for all. The prisoners numbered 33,000 when it should have held no more than 10,000. Whelan requested help and each priest who came only lasted about two weeks before giving up. Whelan returned to Savannah suffering from a lung ailment contracted at Andersonville. He wrote to Secretary of War, Edwin Stanton, asking for money to pay back the loan he made to provide bread for Union prisoners as the man from whom he’d borrowed was sick himself and needed the money. Stanton replied that he needed sworn bills of purchase for the flour. Whelan told Stanton to keep the money because he had neither the health nor the strength to run over Georgia to hunt up bills of purchase. He said that God would provide – and in a way He did. Due to his worsening health, doctors advised him to go north to a drier climate. Friends provided him with the funds to make the trip but, preferring justice to health; Rev. Whelan used the money to repay his debt. Rev. 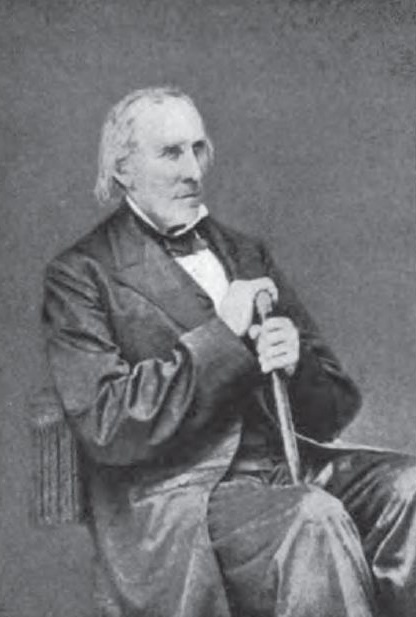 Whelan’s last days were as pastor of St. Patrick’s in Savannah where he died on February 6, 1871, at the age of 69. The Savannah Evening News described his funeral procession as the longest ever seen in the city. His splendid iron casket was ornamented with full-size silver roses and a wreath of laurel. 86 carriages escorted the body through the crowded streets to the cemetery. People from all over the city turned out to bid farewell to this beloved priest – Catholic and non-Catholic alike – for he was a true shepherd to those in need, Confederate and Union alike regardless of faith, and a true American hero. He was also one of the Irish who made America great.